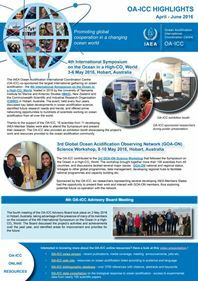 Ocean acidification (OA), the change in ocean chemistry due to increasing concentrations of anthropogenic carbon dioxide in the atmosphere, is an environmental problem that is an active area of scientific research yet remains largely outside of the public’s awareness. It is often assumed that if we raise OA awareness, then the public will support and take action to help mitigate the problem. This research project examines this assumption through the lens of educating high school students about OA. The research included three phases: (i) review of existing teaching resources on OA, (ii) development and refinement of a new OA curriculum based on strengths and gaps identified during the review process, and (iii) a longitudinal experiment testing the impacts to knowledge and attitudes of two approaches to teaching about OA. This study has implications for those engaging in OA outreach and education efforts specifically, and for environmental education campaigns in general. During this study, we found that at least 90 teaching resources focused on OA are already available. These resources provide teachers with multiple approaches to teaching about OA, yet do not adequately address the multiple impacts of OA nor teach students about ways to help address the problem. We developed our own curriculum that underwent four rounds of revisions before appearing in the form presented here. Our experiment found that our teaching intervention increased knowledge but that attitudinal changes, when present, did not persist over time. Despite this lack of attitude change, student attitudes were generally sufficient to support mitigation actions. Over the last century the ocean has been negatively impacted by human activities. In order to continue benefitting from marine services and goods, and the qualities afforded to human life through the ocean, citizens need to be informed about their relationship to the ocean and their own impact on it, that is they need to be ocean literate. Marine education is challenging, as most of the ocean is invisible to the human eye and marine processes are spread over large temporal and spatial scales. Digital technologies have the potential to support learning about the ocean as, virtually, they can take learners into the depths of the ocean and help them visualise complex interactions between different factors over time and space. This thesis consists of four studies scrutinising the role of different digital technologies for learning about marine environmental issues with an emphasis on communicative aspects, with two of the studies having a specific focus on ocean literacy. Study I is a literature review of the use of digital technologies in environmental education. Study II investigates the use of a marine research institute’s Facebook page aimed at supporting communication and learning about marine topics. Study III addresses the use of a carbon footprint calculator as an opportunity for students to reason about their greenhouse gas emissions. 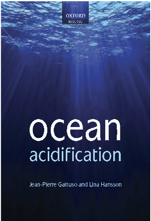 Finally, Study IV analyses the questions asked by students on an online platform where they engage in an asynchronous discussion with a scientist around the issues of ocean acidification. The four studies show how the use of digital technologies in environmental education can make the invisible visible, allowing engagement with and manipulation of the abstract features of the ocean. As demonstrated in my studies and as is evident from previous research in the multidisciplinary field of environmental science, digital technologies offer new means to make sense of and engage with global environmental issues. These technologies provide a field of action where users can experiment, make mistakes, get feedback and try again in ways that are different from paper-based learning activities. The findings from Studies II, III and IV also illustrate the challenges associated with these technologies, and it becomes obvious that the technical features of a tool do not determine the kind of interactions that will evolve from its use. The contexts in which a tool is used, and what the features mean to the users in situ, are key, and demonstrate the importance of studying not only the outcome of a learning practice but also the ongoing interaction between the users and the tool in a specific context. In conclusion, this thesis offers an overview of the range of impacts that digital technologies can have on the development of ocean literacy, as well as illustrating how technologies open up new ways of learning about marine environmental issues both inside and outside of school. It also provides an account of why ocean literacy is such an important skill for 21st-century citizens living in a rapidly changing world with significant challenges to the environment and our own habitats. In this article, 61 high-school students learned about ocean acidification through a virtual laboratory followed by a virtual lecture and an asynchronous discussion with a marine scientist on an online platform: VoiceThread. This study focuses on the students’ development of ocean literacy when prompted to ask questions to the scientist. The students’ questions were thematically analysed to assess (1) the kind of reasoning that can be discerned as premises of the students’ questions and (2) what possibilities for enhancing ocean literacy emerge in this instructional activity. The results show how interacting with a scientist gives the students an entry point to the world of natural sciences with its complexity, uncertainty and choices that go beyond the idealised form in which natural sciences often are presented in school. This activity offers an affordable way of bringing marine science to school by providing extensive expertise from a marine scientist. Students get a chance to mobilise their pre-existing knowledge in the field of marine science. The holistic expertise of the marine scientist allows students to explore and reason around a very wide range of ideas and aspect of natural sciences that goes beyond the range offered by the school settings. Research indicates that preservice teacher (PT) education programs can positively impact perceptions of scientific probeware use in K-8 environments. Despite the potential of probeware to improve science instruction and student engagement, its use in elementary education has been limited. Sixty-seven PT enrolled across three sections of an elementary science methods course participated in a mixed-methods study through which they utilized probeware in a thematic experience on ocean acidification. One-way repeated measures ANOVA of pre and post survey data measuring subscales of utility, ability, and intent to use probeware demonstrated a statistically significant increase with medium to large effect sizes for all subscales across all sections (p<0.01,η2p=0.384;p<0.001,η2p=0.517;p<0.001,η2p=0.214)p0.01ηp20.384p0.001ηp20.517p0.001ηp20.214. Analysis of reflective journals revealed over 60% felt the multiple capabilities (notably graphing) of probeware make it a useful classroom tool, and almost one-half believed that its use makes science more enjoyable and engaging. Mapping of the unitized data from the journals on the Next Generation Science Standards suggested that probeware use especially engages learners in planning and carrying out investigations and in analyzing and interpreting data. Journals also revealed that despite PT having prior experience with probeware in science courses, its use in their future elementary classroom is conditional on having a positive experience with probeware in a science methods course. Further, embedding a probeware experience in a unit on ocean acidification provides PT with strategies for addressing climate change and engaging in argument from evidence.